Sometimes I need to copy interview bookings made on our production server to test some I have the same data in order to reproduce bugs / demonstrate features with live data. I know the easiest way is probably to restore the a backup of the live server but its not always possible. Takes ages to restore on my crappy pc. People arent happy when I copy a 3gb file over the network. I was wondering is way I can write a query to copy the relational data over from a readonly copy of production to my dev db. for example table a has a relation with b. Table B may also have relations to other tables. I want to copy the data from table A and also have any related records copied as well. First and potentially the easiest option available: Flash drives are dirt cheap. Literally, you can get a 4gb flash drive for less than top soil. 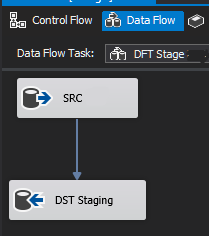 If you do not have physical access to a USB port then install BIDS or SSDT on your dev machine if you do not already have installed and create a simple Source to Target SSIS package. You need login access to the separate servers and you can copy individual tables as needed. Eliminates cross server queries/linked servers and can minimize your network use to only necessary data. 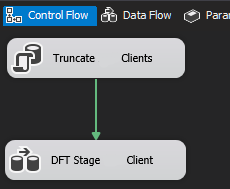 How do I deal with FK constraints when importing data using DTS Import/Export Wizard? Best Possible Solution for Reporting Mirroring or Replication?